Open source cloud platform for the Internet of Things, plus free hosting to get you started. Canopy simplifies the IoT cloud by acting as a cloud relay between IoT devices and applications. Canopy enables rapid development of IoT solutions for consumer, commercial and industrial markets. 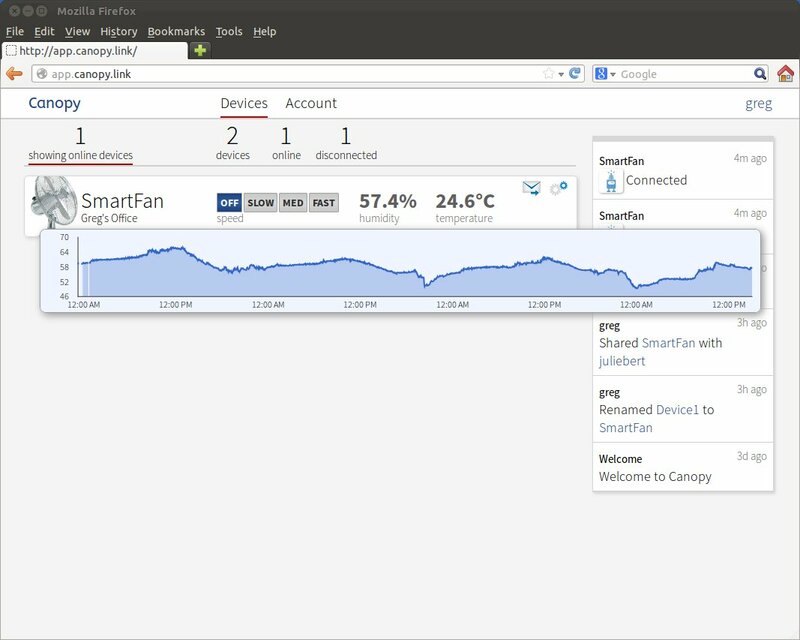 Canopy's Cloud Variables can be accessed in firmware, but are stored in the cloud and tracked over time. Cloud Variables make it easy to add cloud-based remote control and monitoring to your device. Canopy's Cloud Notifications let you send messages to the user from within firmware. Send SMS, email, or in-app notifications. These features help you add remote control, monitoring, and notifications to your product. 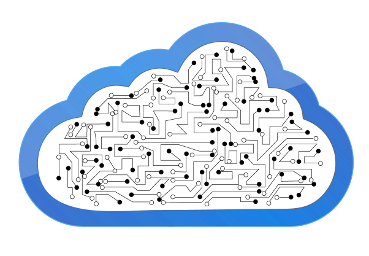 Firmware libraries for cloud-enabled devices. Includes libcanopy which is a C/C++ library that brings cloud capabilities to embedded firmware. Secure IoT server software designed for scale. The server is written in golang and uses Cassandra for data storage. All features are exposed to clients via the Canopy REST API and Canopy Websocket Protocol. Web console for device makers. Helps you manage your devices throughout the development, production, and release of your product. We believe that royalty-free protocols and open source software are needed for continued innovation and interoperability in the IoT space. All source code is available on GitHub under the Apache v2 License. All specifications and documentation are published under a Creative Commons license. Canopy Cloud Variables are stored in the cloud and accessed using web-based protocols. As long as your device can connect to the Internet you can use Cloud Variables. In addition, we are working with several HW vendors to make sure that Canopy works seamlessly on a variety of hardware platforms. 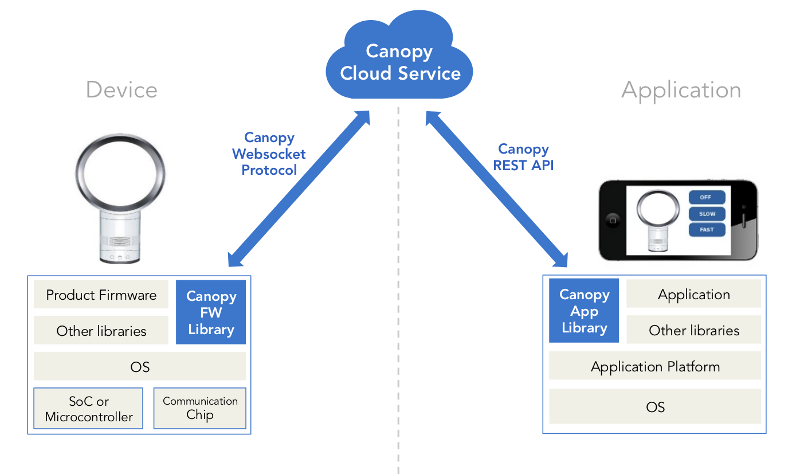 Canopy is based on RESTful HTTP and Websocket protocols, so it can be used from nearly any programming language. We are working on native client libraries that make development of firmware and IoT applications using Canopy even simpler. Canopy's server-side component (the "Canopy Cloud Service") is open source and runs anywhere, including the public cloud, private cloud, hybrid cloud, LAN, or even on your laptop. Free or paid. Get up and running quickly with our free hosting. For light usage, we will host your Cloud Variables for free on our servers. For heavy commercial usage, you can upgrade to our premium hosting service. 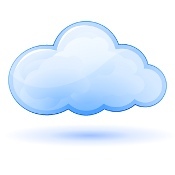 Cloud Variables are more than just variables. They are tracked and monitored over time by the server. They are perfect for IoT sensor data storage, remote control and remote configuration.